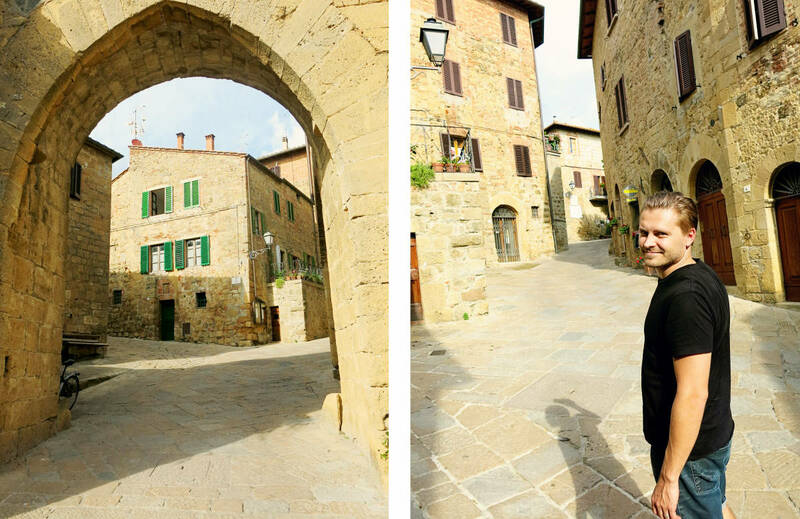 It’s a pure joy and delight to loose yourself in Tuscany. A region where cypress trees follows you along the little Tuscan roads. 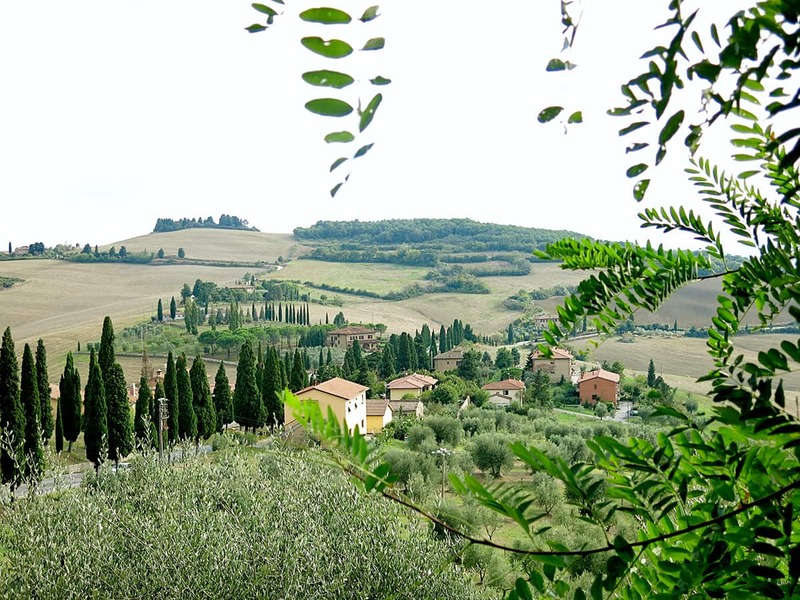 Where rolling hills seems never-ending and the surprise of little Tuscan Villages positioned high on hills is the norm. 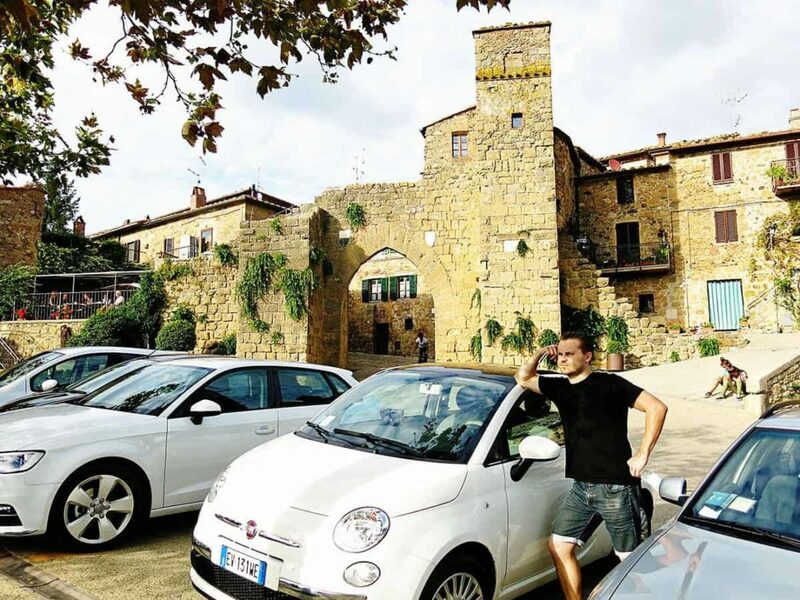 It was an easy decision to hire a car and plan an Italian road trip through Tuscany. It was a harder decision to decide on which places to visit in Tuscany, when we were extremely limited in time. I knew for a fact though, that Monticchiello had to one of them! 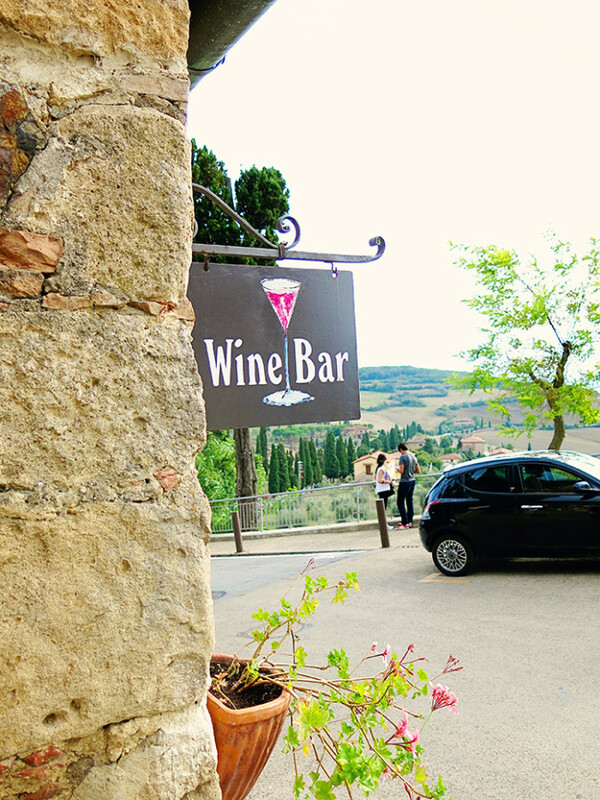 We planned a full action day of driving from Tuscan town to Tuscan town, with a few stops for wine tasting along the way. Out of all our stops, it was the town of Monticchiello, Italy that took my breathe away! 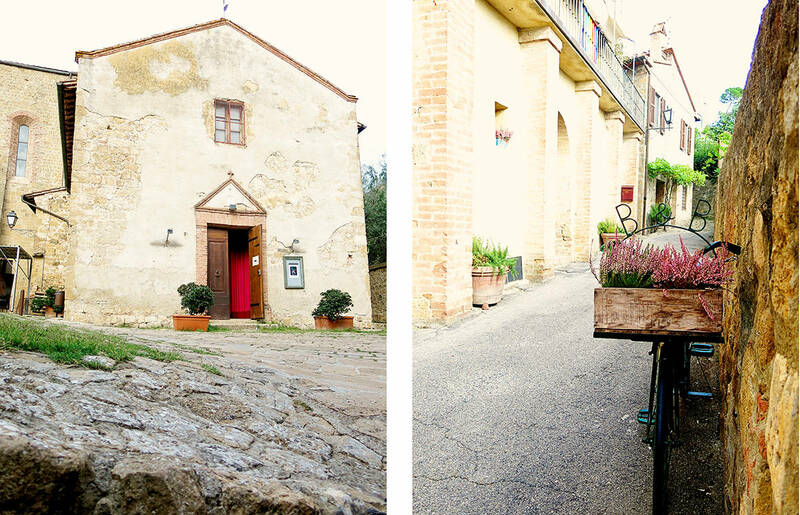 A lesser-known town in the Orca Valley; a hop-and-skip away from the more well known Pienza. 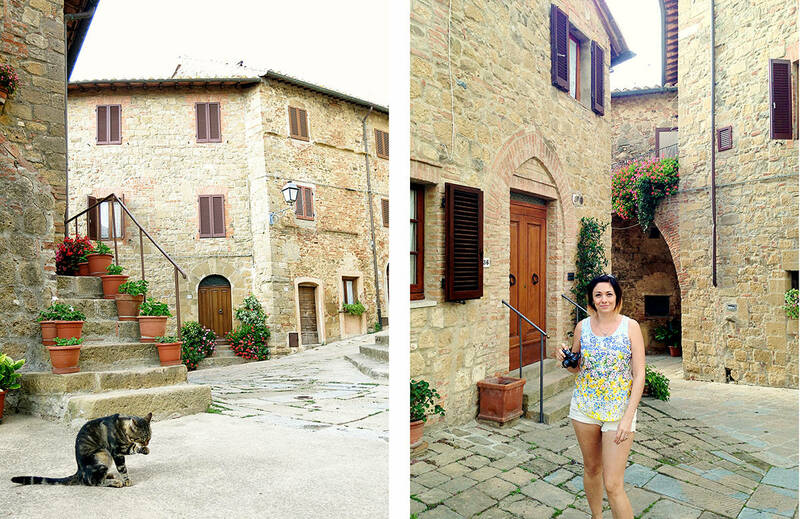 In my opinion one of the best Tuscan villages to visit! Monticchiello, happens to be one of the cutest towns in Tuscany. It is a walled Tuscan city and is surrounded by what remains of the ancient town walls. The entrance to this town is through the impressive Porta Sant'Agata. This gateway is accompanied by the remains of two defending towers on each side. Interestingly when we arrived at this town, one of the occupants were practicing their ‘drumming’, it was quite bizarre looking up the ancient ‘castle-like’ exterior structure of the town whilst listening to modern drumming coming from somewhere inside. 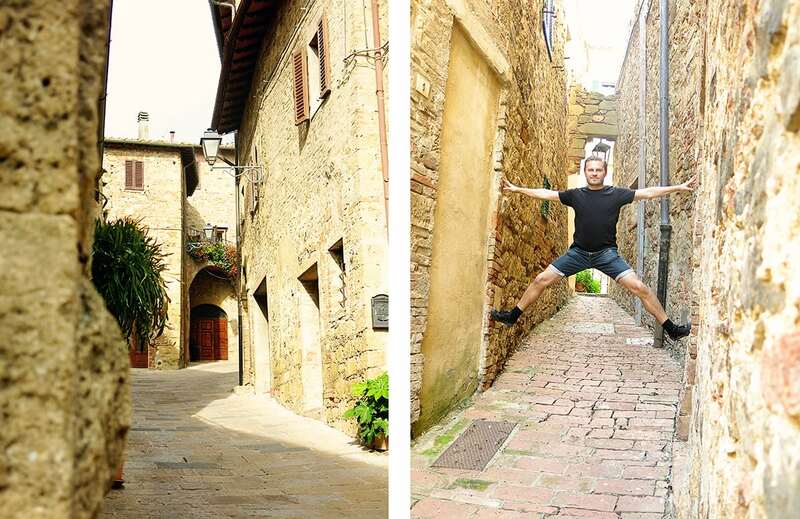 This little Tuscan town is filled with charm and is just incredibly sweet as can be. 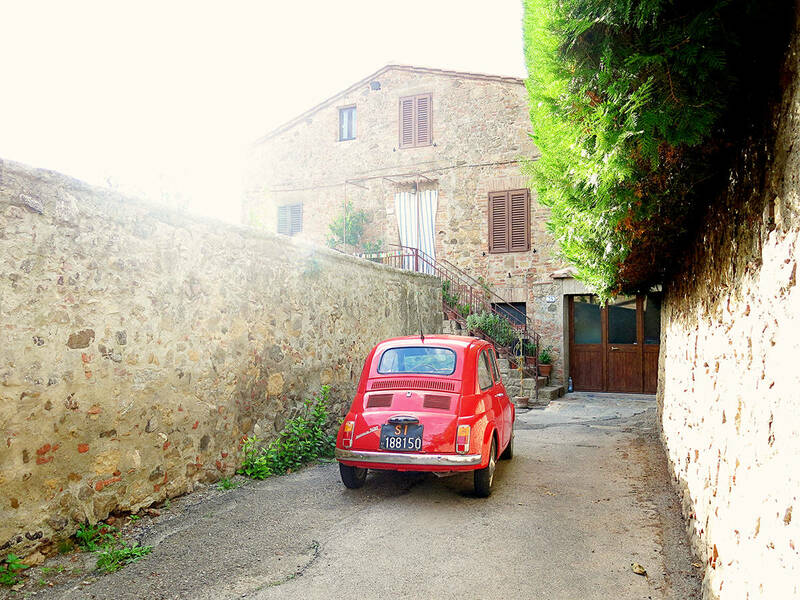 Whilst it won’t take you long to explore the grounds of this gorgeous medieval Tuscany Village, you will find heaps of picturesque photo opportunities. Loads of little gorgeous details lining the rugged stone walls of the buildings inside. The pride from the residence oozes here in a town that is incredibly well looked after. See which camera we use on our travel gear page. Regardless of Montichiello’s small size, right in the middle of this gorgeous little town, you will find the town church – the Church of Santi Leonardo and Cristoforo; which dates back to the second half of the thirteenth century. Another reason to visit Monticchiello is simply because of the stunning views you get over the Orca Valley. On your way out of this little town, before you leave through the gateway arch, climb the stairs next to Osteria la Porta Monticchiello Tavern and you will find yourself on top of the remains of the wall that surrounds this charming little town. 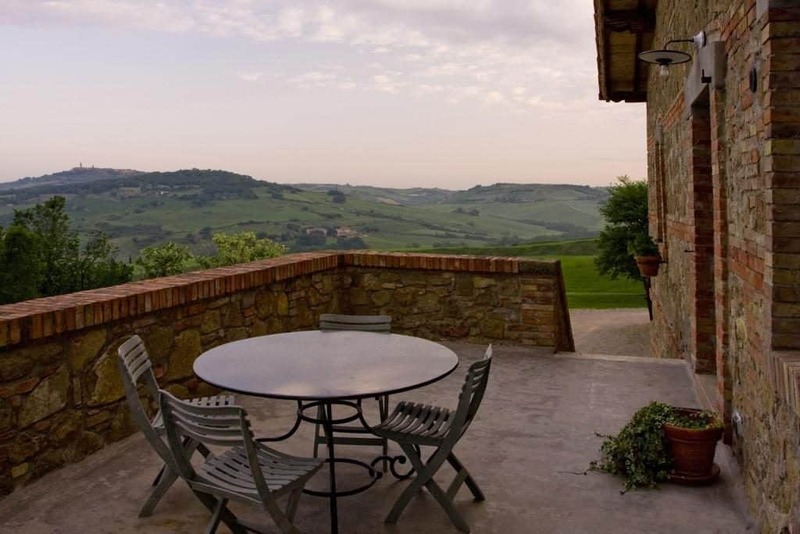 And from here, you can get some magnificent views over Tuscan valleys as well as other Tuscany towns. Stay here a while and just soak in the beautiful Tuscan picture in front of your eyes. Look to the right for an amazing view over Pienza in the distance. It simply doesn’t get much better than this!! And lastly, before you get back in that car, make sure you pop into the Wine Bar located at the front of Monticchiello. After all you can simply not visit Tuscany and not enjoy the multitude of wine tasting opportunities that come your way. This town is often included in Tuscan wine tours due to its selection of wines and its unique exterior. Why not pop into Wine & Food La Guardiola Monticchiello and give their food and wine a try. One of the beauties of this little town is that it is very much untouched by tourism. I think that we were some of the very few tourists who wondered down the streets of this town on our visit. It was just incredibly peaceful and the atmosphere you find here is sure to relax and unwind your soul. The perfect place to not only ‘loose’ yourself but also to ‘find’ the essence of you are. 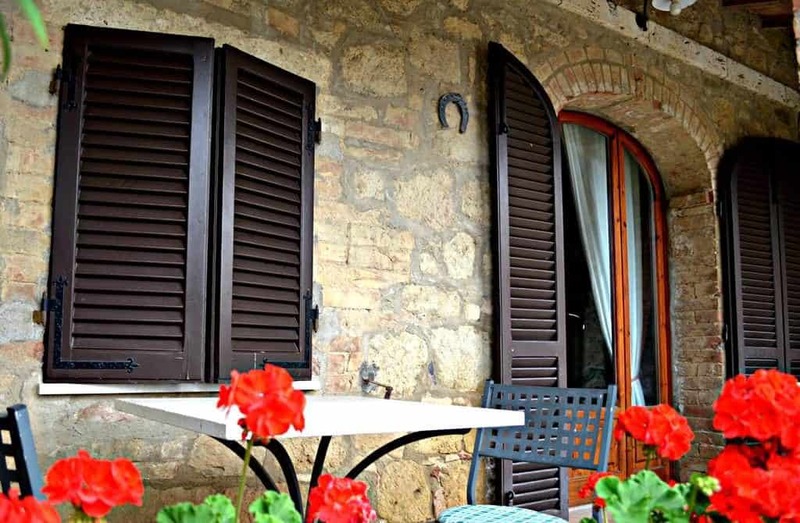 Agriturismo Barbi is set is a stunning location; overlooking Val d'Orcia. The estate has 2 stone farmhouses on offer. The houses still maintain their original features with terracotta floors and whitewashed walls. The estate produces extra virgin olive oil and chickpeas. Italian style breakfast is also included with your stay. The best seller in the region. 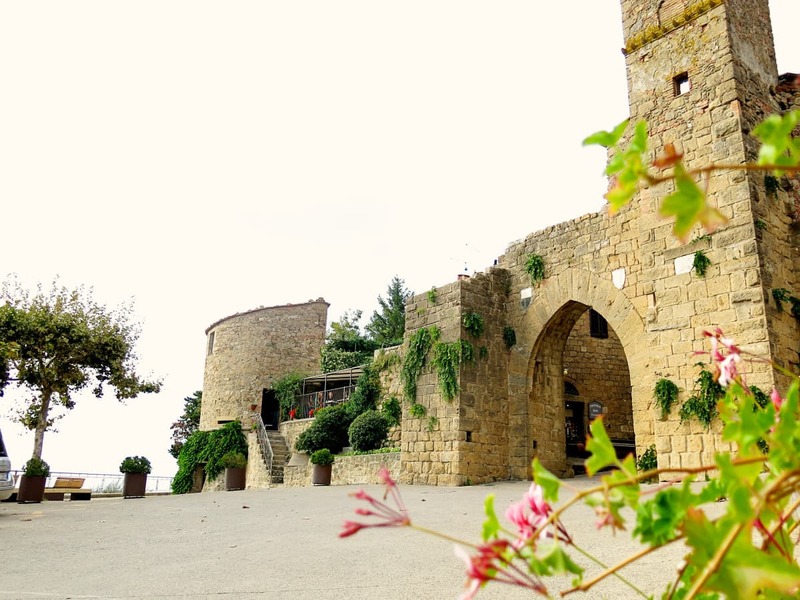 The B&B at La Porta di Monticchiello is set in an excellent location! 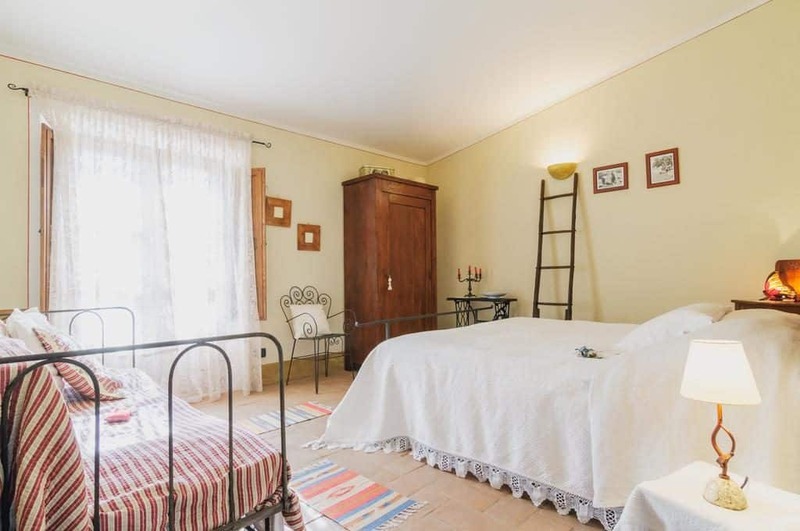 Not only does this property have super sweet little rooms, but it also has the most popular restaurant in Monticchiello. The rooms all have a TV, air-conditioning and a private bathroom. Continental breakfast is served on the beautiful terrace every morning. This is my pick of where to stay! B&B Podere Rigopesci offers incredible value for what it offers! The beautiful rooms are all unique, some of which offer views over the garden or the city, whilst others offer extra seating space for when you want to relax. Each room has its own private bathroom. Kitchen facilities are shared with other visitors. A gorgeous little B&B! 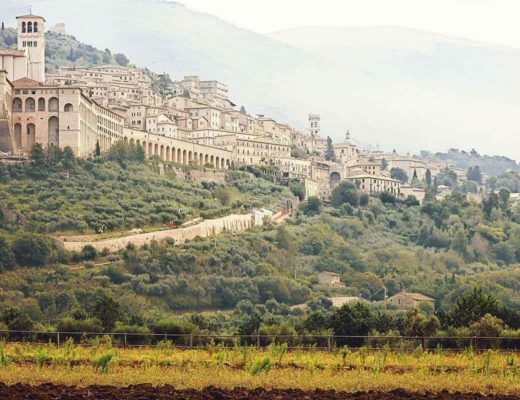 Do yourself a favour and pop this little walled Tuscan City: Monticchiello on your ‘HAVE TO SEE’ when you visit Tuscany list. It really is one of the best Tuscan towns to explore. You won’t regret it!!! and find your heart and soul here in Monticchiello. 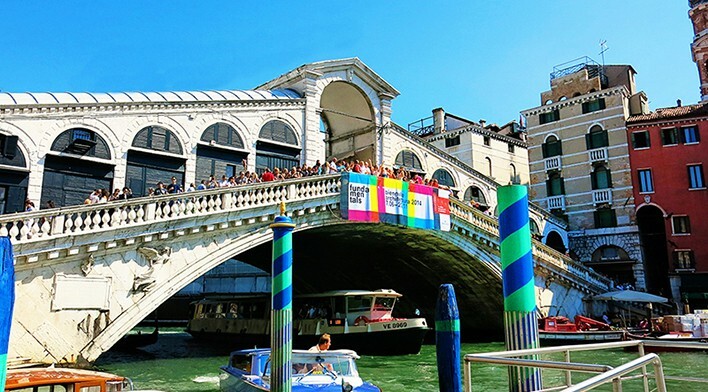 See which other destinations we have visited here. Over to you, which town in Tuscany is your absolute favourite? 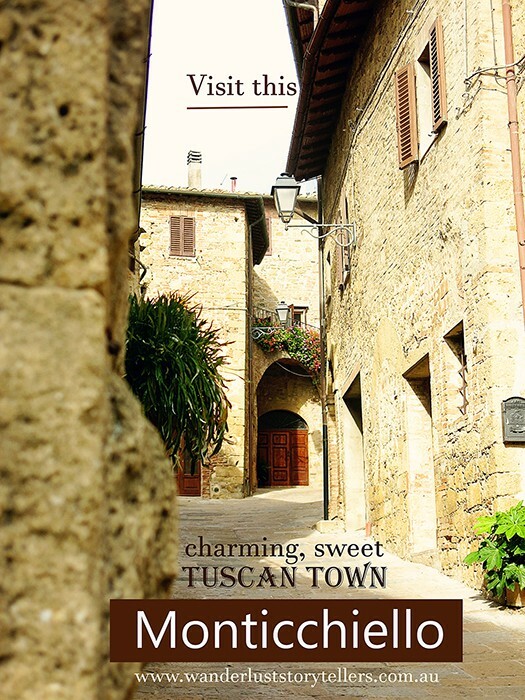 Which towns would you add to the Tuscan towns to visit list? *Disclaimer, this article contains affiliate links. We will be grateful if you choose to support us by using our well researched links! Thanks, you rock! I want to thank you for the wonderful article that you published about my country, I will share it immediately on my facebook page. I am the owner of B & B La casa di Adelina and of Wine & Food La Guardiola, if you decide to return to Val d’Orcia advise me that I will be happy to meet you. Hi Francesco and thank you for your lovely comment! We truly did love Monticchiello and hopefully we can return one day. Would be lovely to meet to you 🙂 Your B&B looks delightful, will include it for you (just heading out for date night with hubby first). We would love for you to share the post with your followers on Facebook. I have ‘liked’ your page as well 🙂 We are also on Facebook – http://www.facebook.com/wanderluststorytellers. 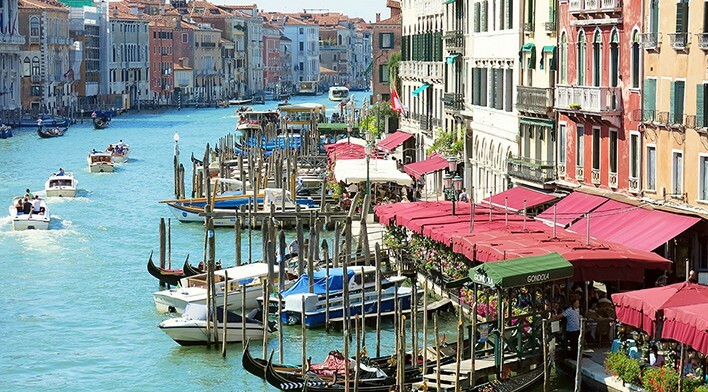 Wonderful share, great article, very useful for me…I’m in love with everything about Italy. A lot of useful information here. I’m sending it to some friends! Great! Glad you found it useful and yes Italy is a brilliant country to visit!